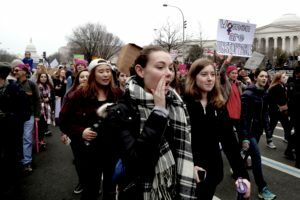 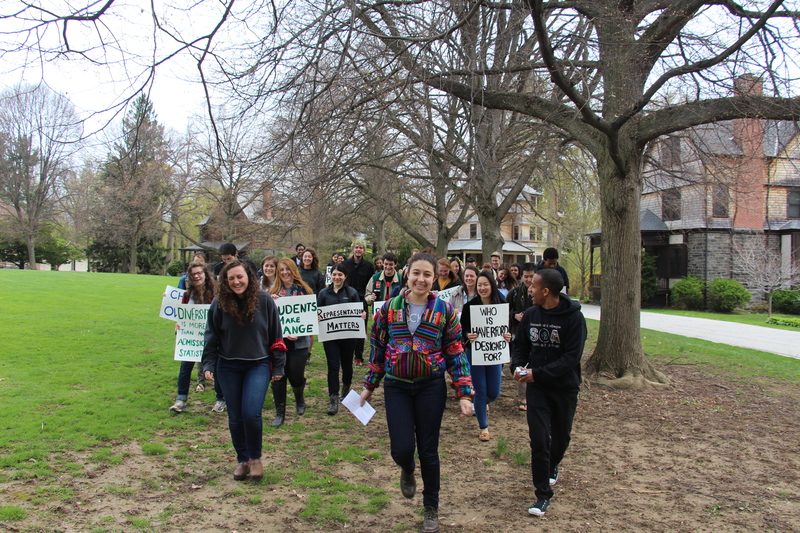 Eve Gutman ’15 and Dawit Habtemariam ’15, among other marchers. 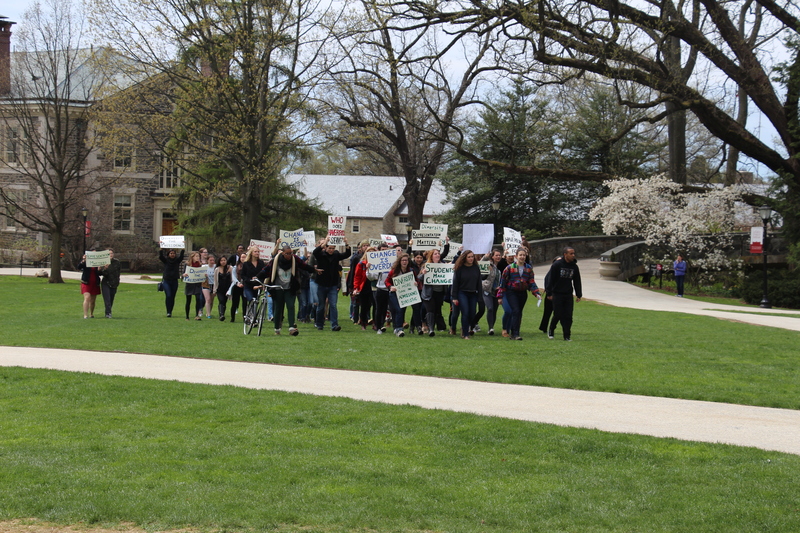 The marchers sung songs and demanded change. 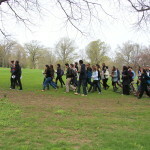 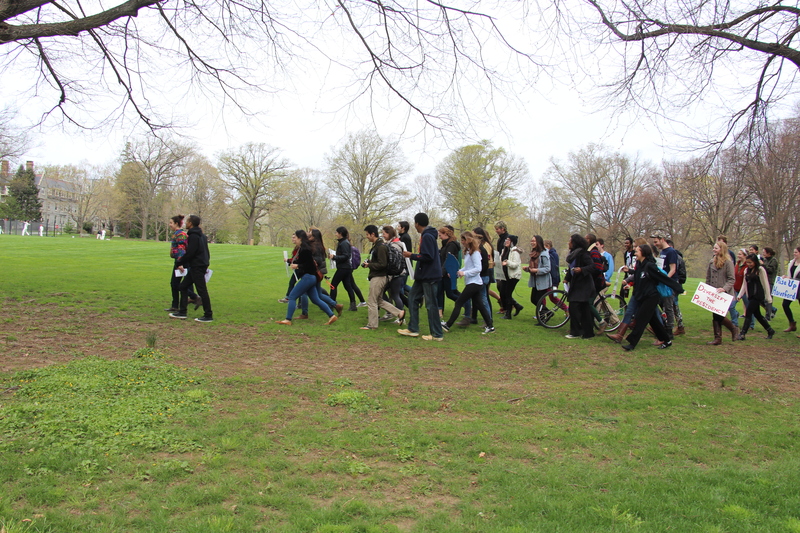 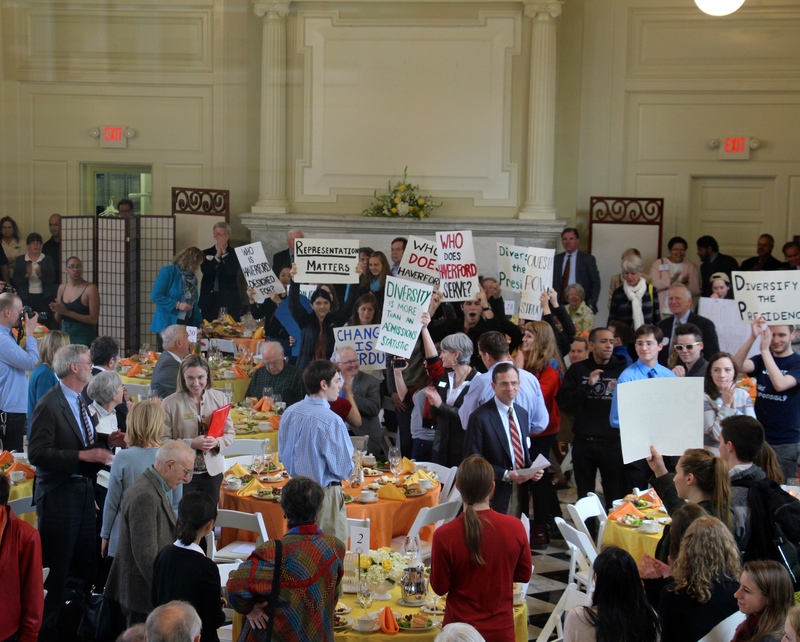 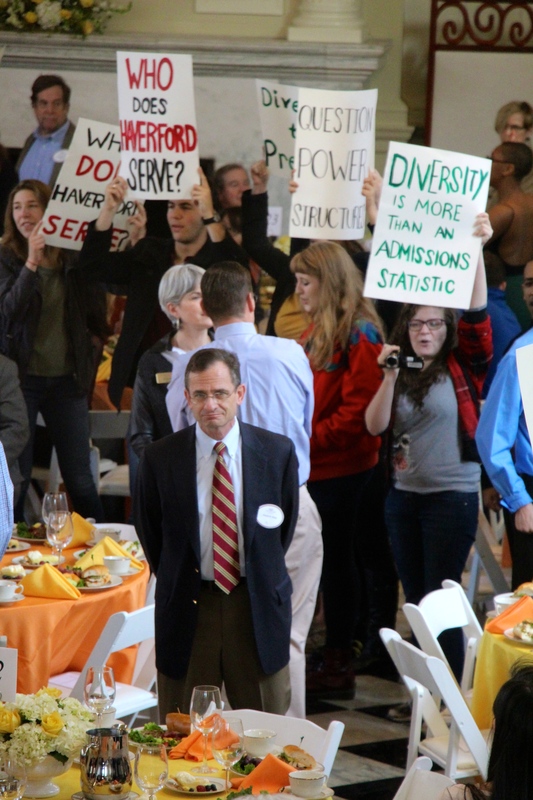 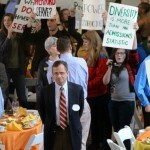 The march entered Founders Hall to present over 500 signatures to the Board of Managers at a Scholarship Luncheon. 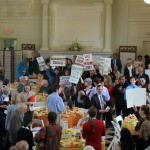 Many of the Board of Managers members were present. 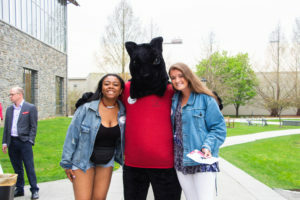 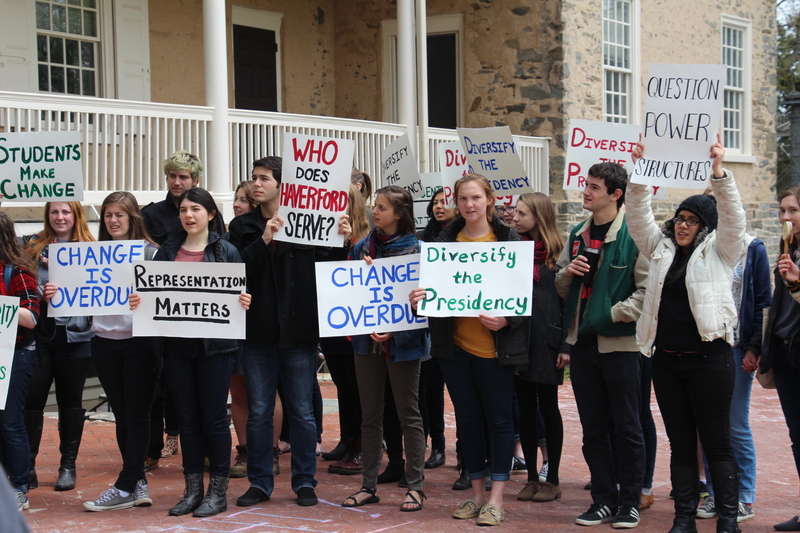 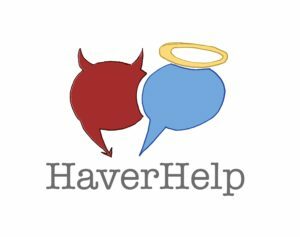 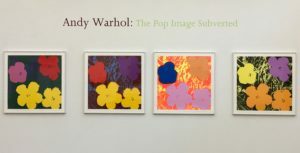 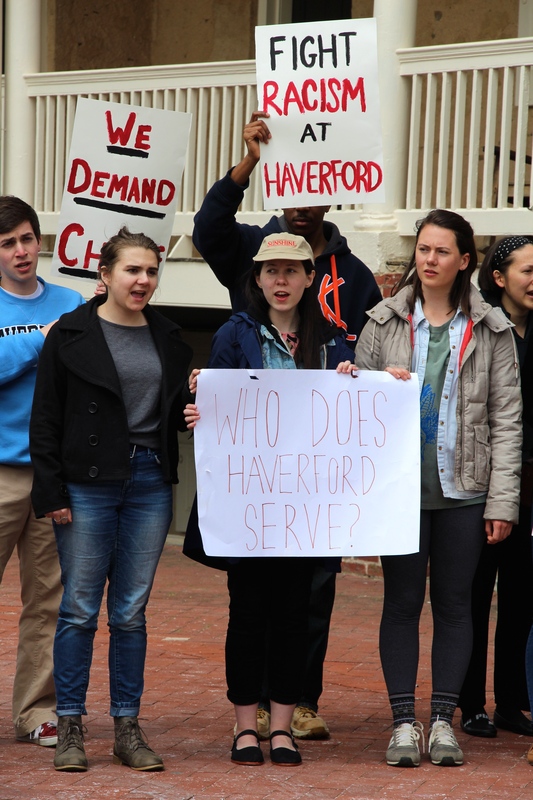 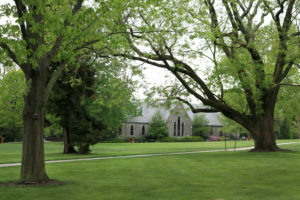 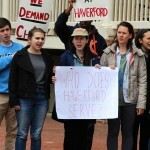 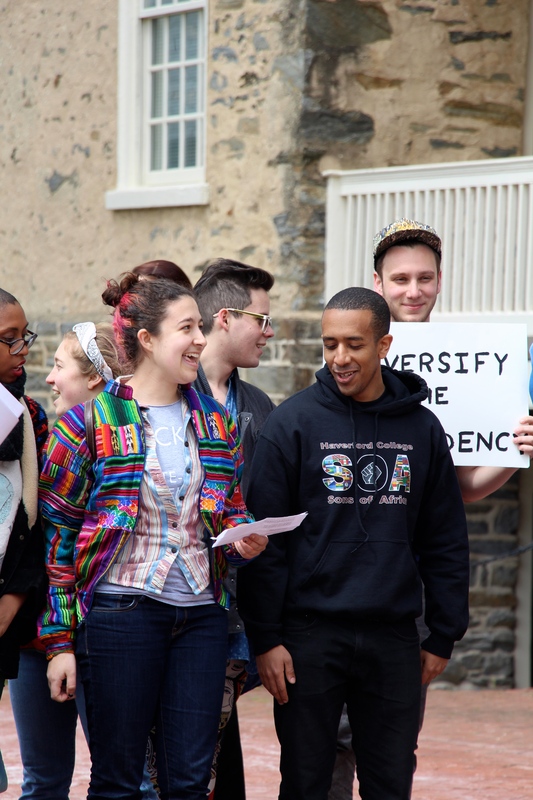 In the wake of President Dan Weiss’s announcement that he will be leaving Haverford College to lead the Metropolitan Museum of Art, Haverford has seen the creation of the Diversify the Presidency movement, which began as a collaborative effort between TIDE and Feminists United. 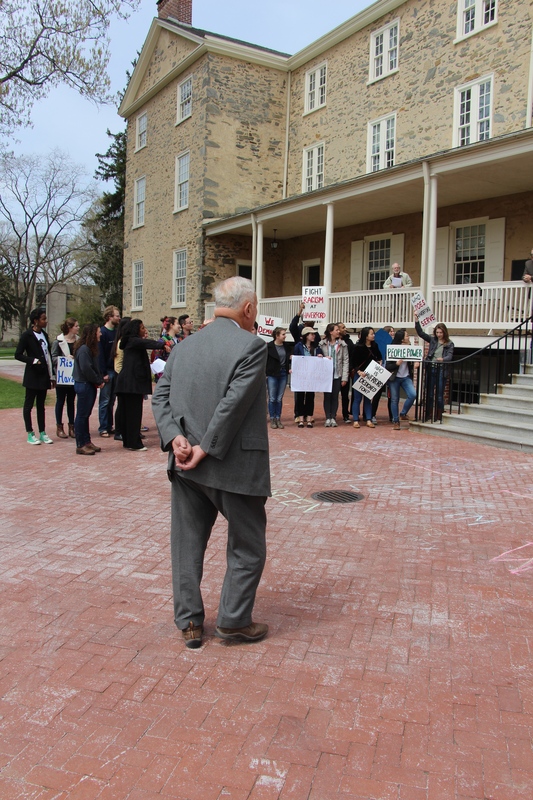 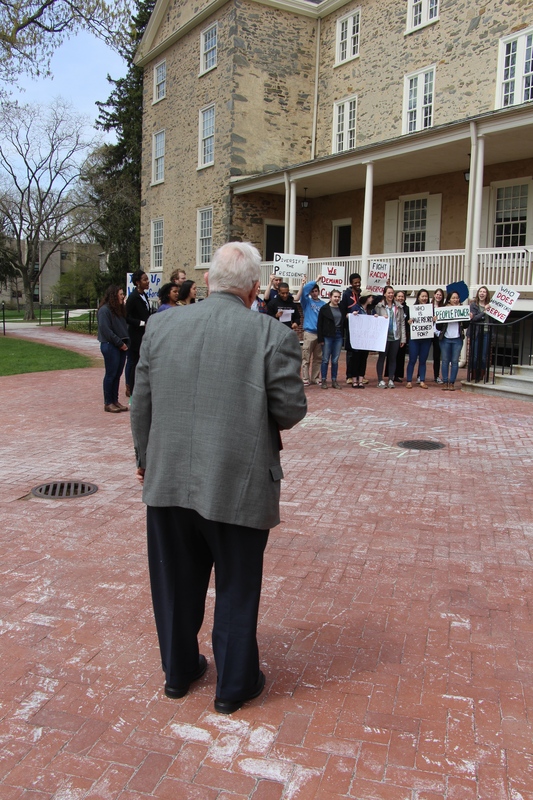 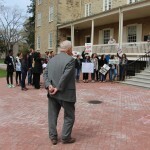 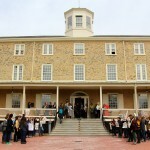 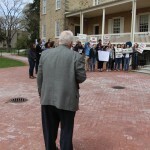 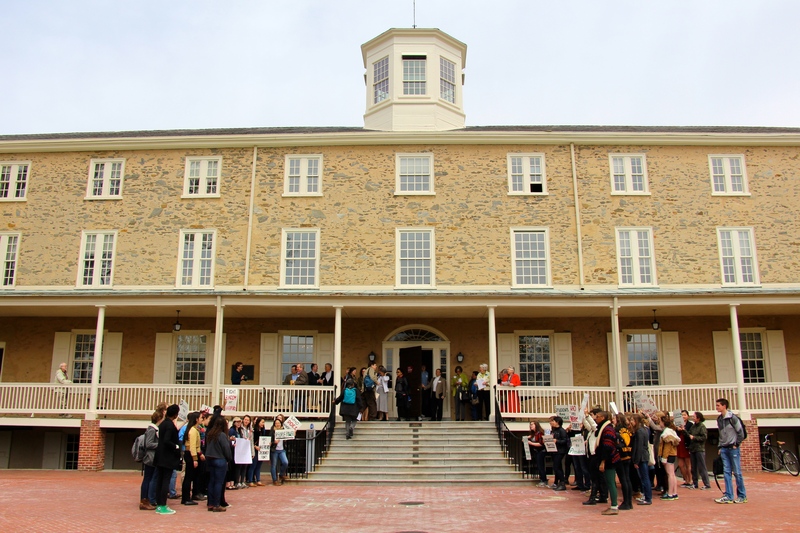 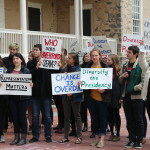 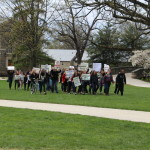 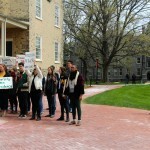 Watch the Coalition protest in front of Founders. 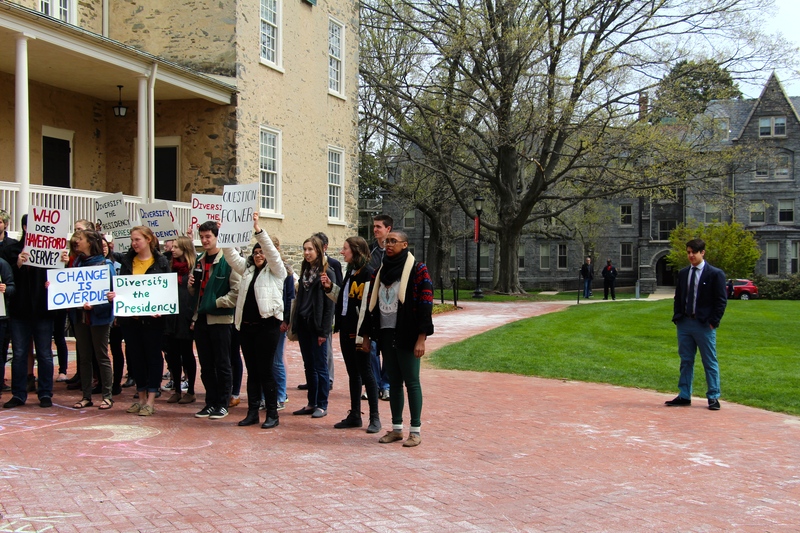 Well, at least the protesters have a concrete demand for once. 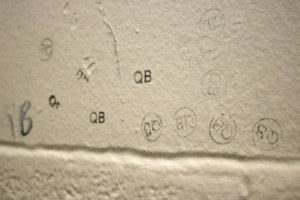 Not a smart demand, but a concrete one.